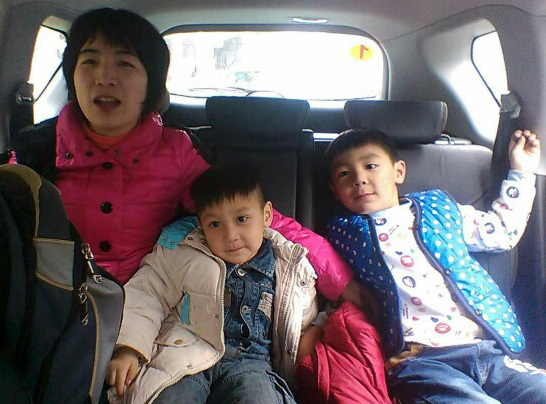 Lord, today we pray for Cheng Jie and her family. We are so thankful she was returned to her family after being imprisoned for her faith for two years. Thank you for that! Thank you for those who supported and encouraged her husband Du Hongbo as he continued in ministry and was a single parent to two boys while his wife was imprisoned. Thank you for Cheng Jie’s faithfulness to you in prison and for her ministry to others, including leading four death-row inmates to you. Lord, please help her to reconnect well with her young children, the youngest who didn’t even remember her upon her return home, since she was taken away while he was so young. Please heal Cheng Jie’s mind and body from the damage done by the difficult conditions in the Chinese prison where she was detained. We pray for the family to figure out their new roles and their new location. Help their trust in you to grow ever-deeper as they heal from their ordeal and look to you for guidance for the future. May their ministry and family be even more powerful as a result of this persecution. We pray in Jesus’ name, amen.